Which lead to a few more interesting sites: link and A little further out there, (if you have the time, watch the video). I'm not sure what the heck I'll do with all this, but it is in the back of my mind now and at some point, little puzzles like this might make for an interesting reveal in say, a Seance type situation or other mystery story. Is anybody else doing anything with something like this? If you prefer verbal puzzles over mathematical, there are the hundreds of magic squares containing words in 'The Book of the Sacred Magic of Abra-Melin the Mage', which is available really cheaply on Amazon. Loads of scope for word reveals, etc. Just googled this, cool book. And yes, magic squares containing words might be more my speed. It would be a really cool way to do a word reveal. Thanks for the suggested reading. That was cool. I see I'm a day late and a dollar short, but still neat to look at and inspiring. Thanks for the link. To desguise the magic square as something else, some sort of chart, with symbols, or words, or pictures, or something like that. For instance, an horoscope chart, or a constelation chart. I hope my idea helps. I´m sorry, but as much as I would like to help, regarding this topic I´m afraid my knowledge is rather unsubstancial. All the best! Actually, you line of thought reinforces what I was trying to do. 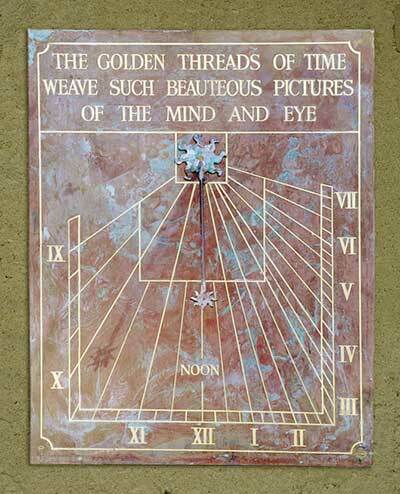 The magic square image came up while looking at sundials. And you are right, a magic square could be incorporated into the design and be a pretty nifty way to hide a cryptic message. Adding either a numerical or word magic square to something like this? I like it very much! Yes, something like this would be a good choice, in my opinion. Magic squares are becoming more and more widely known, so, to use the principles of the magic square, but to desguise it into an alchemical, astrological or esoteric chart would be how I would do it. Of course, as I am The Ghost Collector, my chart would probably be disguised as a chart of the various cases I studied, sort of a map of haunted places I visited... All the best! In the occult books you named, there must be some explanations on the workings of sigils. For those of you inspired by sigil magic, their relation to magic squares, numerology and Kabbalah can be of great interest to develop bizarre routines. Fred, did you provided a boat load of inspiration. Cool video, and when I Googled Sigil magic, all kinds of neat stuff popped up: Icelandic Magic, Geomancy, and it appears to go on forever. (I'm a terrible Google addict by the way). While my distaste for math is still intact, I'm actually going to look into this further. One of those slow burn projects, so darn much material out there, but well worth the effort. Thanks to all, fun stuff. I too have a distaste for maths, and the magic square has never compelled me as a performance piece. Paul Brook's use of the concept in both Juxtapose and The Big Connection shifted my thinking a bit, possibly because the square is largely hidden in the performance. The idea of a yantra - a numerological magic square - is compelling, however. It's something I've begun exploring this year, largely due to conversations with Richard Webster and his book Numerology Magic. I really do need to expand my reading to include more by Mr. Webster. I have his book on cartomancy and that is about it. Juxtapose looks interesting, (as does The Big Connection, but I rarely perform for large groups). Though I have taken the time to see if google can translate it. Apparently it is a Budh Yantra used to remove the malefic effect of the planet Mercury, (someday my head will explode from trying to cram so much in it, but it will be worth it).